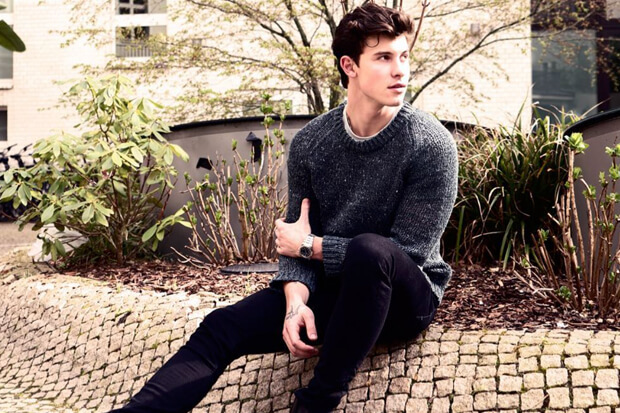 Shawn Mendes Bares His Heart On "Where Were You In The Morning"
Shawn Mendes offers an intimate glimpse at his heart on his soulful new single “Where Were You In The Morning.” The 19-year-old is counting down the days to the unveiling of his self-titled LP next week. And he is offering fans one more taste of what is to come when it finally arrives. Released today (May 18), his latest is one of his most earnest songs to date. The track sees him reuniting with frequent co-producer Teddy Geiger for another stunner. With its more mature subject matter, it is very clear that Shawn is emerging as a young adult this era. And the transition seems to be going well for him. “Where Were You In The Morning” joins the previously released tracks “In My Blood,” “Lost In Japan” and the Khalid-assisted “Youth,” and it is another promising cut. With the project’s lead single still sitting comfortably within the top 40 on the Billboard Hot 100 and his resistance anthem racking up serious streams on Spotify, it seems like he will be going into next week with a strong showing on the charts. At the rate things are going, this is shaping up to be one of the most promising LPs of 2018. Give his newest track a spin below! Do you love Shawn’s latest? Let us know below, or by hitting us up on Facebook and Twitter!